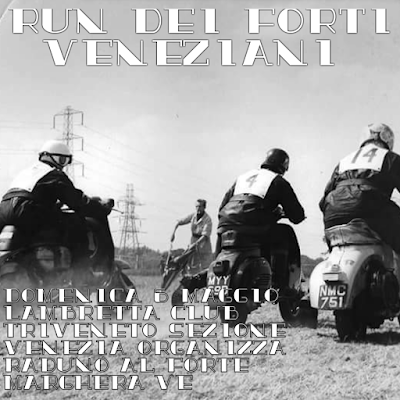 LA 'SEZIONE DI VENEZIA' DEL LAMBRETTA CLUB TRIVENETO ORGANIZZA IL PRIMO RADUNO “FORTE…LAMBRETTA” . 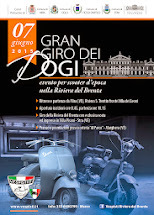 SIETE TUTTI INVITATI PER INAUGURARE LE ATTIVITA’ DELLA SEZIONE, NELLA MERAVIGLIOSA LAGUNA DI VENEZIA. IL NOSTRO GRUPPO PARTECIPERA' CON ENTRAMBE LE SEZIONI DI VESPISTI.IT E LAMBRETTISTI.IT RIVIERA DEL BRENTA.